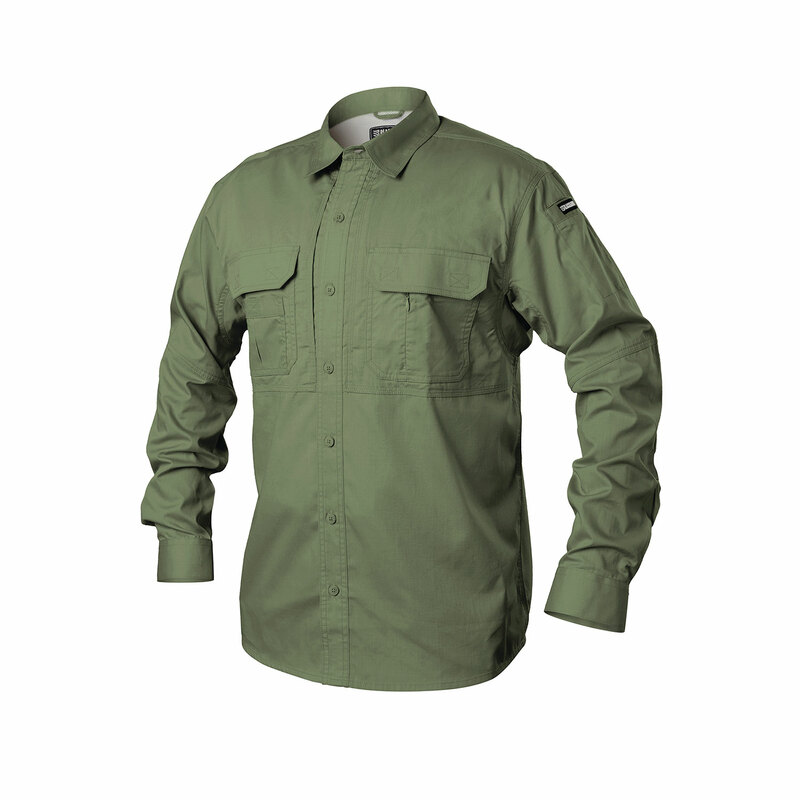 The BLACKHAWK!® Pursuit Long Sleeve Shirt delivers comfort and performance with casual style. Seven pockets allow ample storage for essential gear, including two hidden document pockets. Constructed from durable ripstop fabric and treated with Teflon® Shield+ to repel water, oil and stains. A vented back enhances breathability for increased comfort. Gusseted underarms provide maximum range of motion. Other features include reinforced elbows and a hidden button down collar.